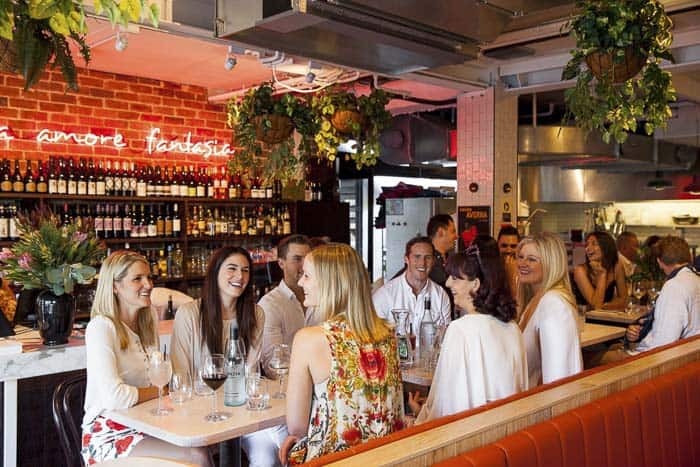 If you’re planning a group dinner in Sydney, and looking for somewhere affordable with great food, this post is for you! You might be planning a big family party to celebrate a christening or baby’s first birthday. Or are you the organiser of a mums’ night out for preschool or school, or a meal out for families after a big school event? 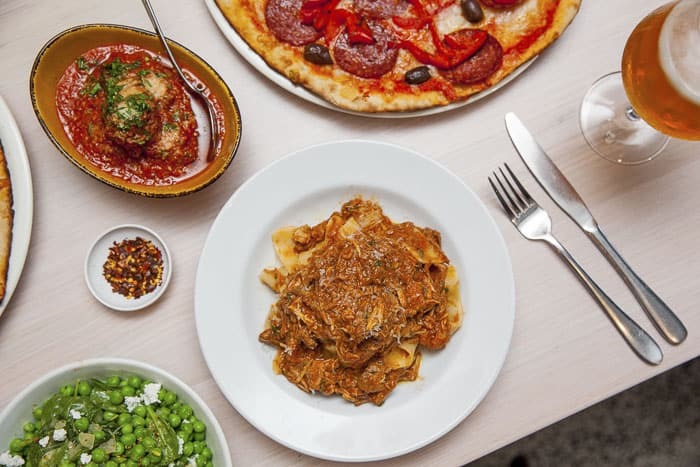 An Italian meal is a winner with all the generations, so ideal for a big group eating together. The Italian Bar Pizza in Willoughby is a place we’d recommend. 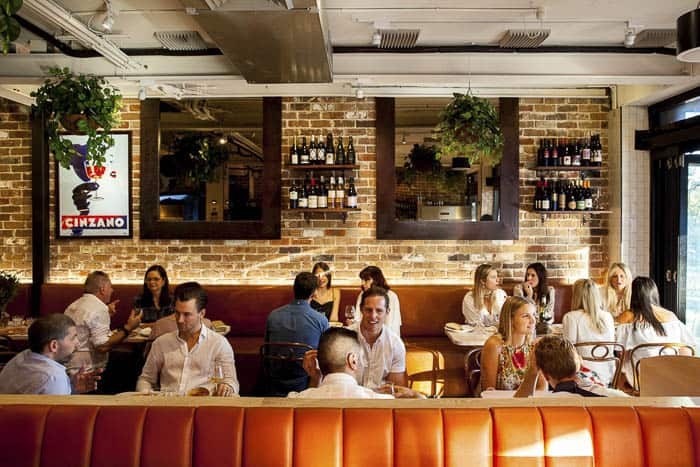 It’s a very authentic Italian restaurant, in a terrific location, and their shared group dining options are generous. 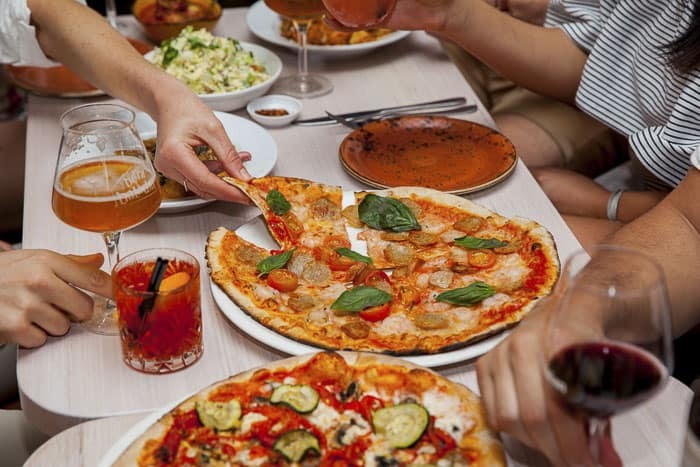 Group size: The Italian Bar Pizza can cater for groups up to 80 people. Starters, pastas, pizzas and two salads. Great for birthdays, celebrations for all ages, also for christenings and any large family group. A spritz on arrival plus starters, pastas, pizzas and two salads. Great for mothers’ group lunches and dinners. A spritz on arrival plus starters, pastas, pizzas, two salads and a selection desserts. For when everyone is ready for a huge feast! For drinks, you can set a tab, pre-arrange wine or simply let each guest order and pay for their own. 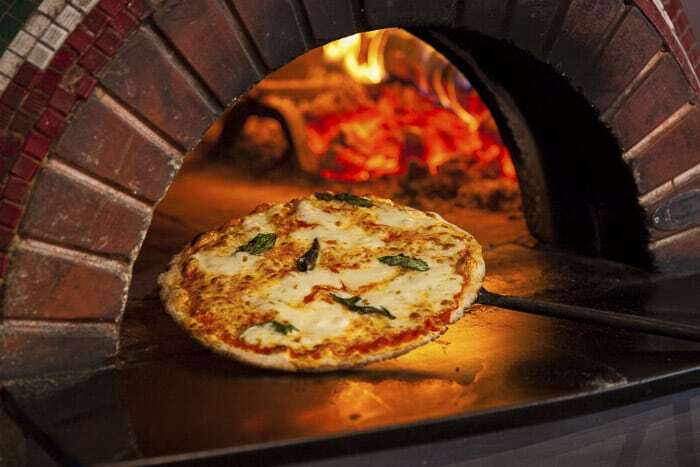 Passion infuses the preparation and cooking of the food you’ll eat at The Italian Bar Pizza. The pizzas are delicious, made from stone ground organic flour, with the dough fermented for three days using a natural ‘mother’ starter. And yes, you can taste the difference. 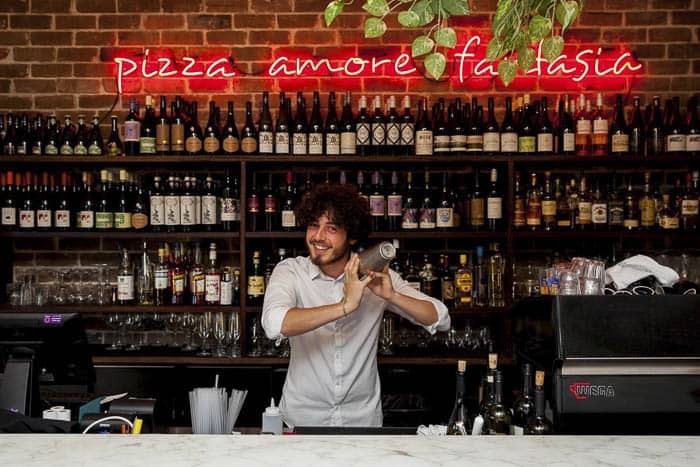 Flavoursome, wholesome, seasonal food is what Italians love and it’s all here, served with love. Celebrations with family and friends is also one of the great joys of Italian life, so your own celebrations will be well looked after here. Wizzy World Play Centre is also close, and Hallstrom Park’s playground is only a short drive away. 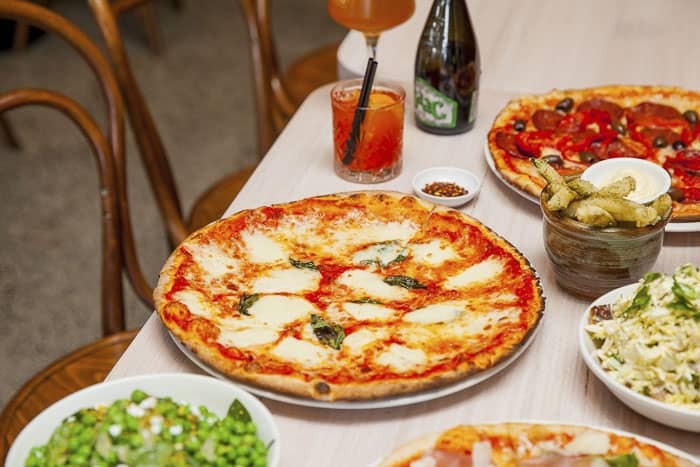 The Italian Bar Pizza also has terrific pizza making classes for children, these are great for kids’ parties. 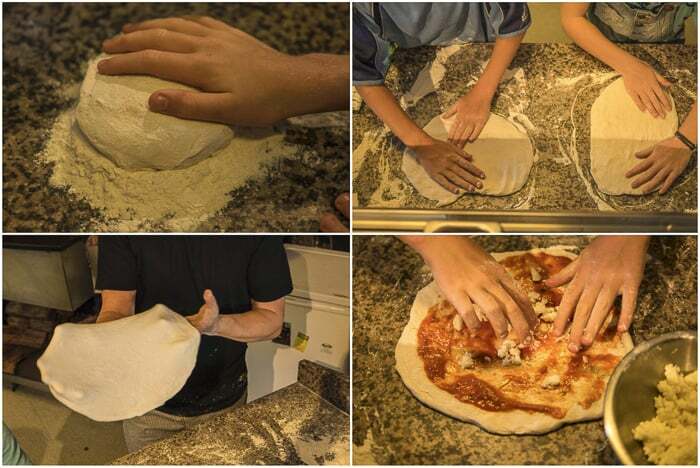 Read our post about pizza making fun for kids here. Our next family festa is an 18th birthday party for Son Number 2, how did that rush up so fast? What’s your next big celebration for family and friends? This post is brought to you by The Italian Bar Pizza in Willoughby. As usual, all views are my own. Yum! This looks great! Thanks for the recommendation. Italian is the one place we can go as a family that everyone will eat! Ooh I haven’t come across this place before but it looks right up our alley. Love Italian food! It’s definitely the easiest for keeping both adults and kids happy in my family. We love The Italian. Ive been to so many big group get-togetherness here. It’s perfectly set up, the service is great, the good outstanding and the kids are welcome. Win! Oh yum! This place is right up my street, both in terms of food and geography! Will have to give it a go!